Want for a stirring story? Check out this week's lineup of dramas showing on the big screen in and around Durham. With a 94 percent critical approval rating and an audience score of 61 percent on Rotten Tomatoes, "The Favourite" has gotten a lot of positive attention since its release on Dec. 14. According to the site's overview of critic reviews, "'The Favourite' sees Yorgos Lanthimos balancing a period setting against rich, timely subtext - and getting roundly stellar performances from his well-chosen stars." Catch it on the big screen at AMC Southpoint 17 (8030 Renaissance Parkway, #975) through Wednesday, Jan. 16. Click here for showtimes and tickets. With an 83 percent critical approval rating and an audience score of 84 percent on Rotten Tomatoes, "Creed II" has racked up generally positive reviews since its release on Nov. 21. The site's critical consensus indicates that "'Creed II''s adherence to franchise formula adds up to a sequel with few true surprises, but its time-tested generational themes still pack a solid punch." Get a piece of the action at AMC Southpoint 17 (8030 Renaissance Parkway, #975) through Wednesday, Jan. 16. Click here for showtimes and tickets. With an 81 percent critical approval rating and an audience score of 94 percent on Rotten Tomatoes, "Green Book" has been getting attention since its release on Nov. 16. The site's critical consensus has it that "'Green Book' takes audiences on a surprisingly smooth ride through potentially bumpy subject matter, fueled by Peter Farrelly's deft touch and a pair of well-matched leads." It's screening at AMC Classic Durham 15 (1807 Martin Luther King Parkway) through Wednesday, Jan. 16. Click here for showtimes and tickets. 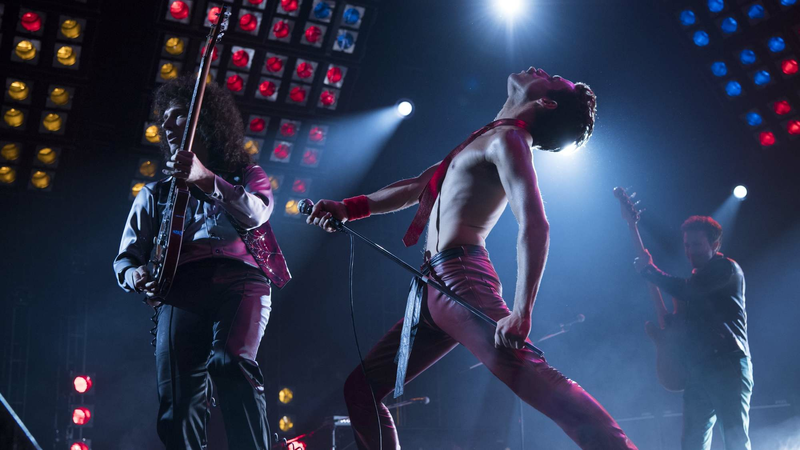 With a 62 percent critical approval rating and an audience score of 90 percent on Rotten Tomatoes, "Bohemian Rhapsody" is well worth a watch, with a consensus that "'Bohemian Rhapsody' hits a handful of high notes, but as an in-depth look at a beloved band, it offers more of a medley than a true greatest hits collection." Rami Malek, who plays Mercury in the film, won Best Actor at the Golden Globes and the film won Best Drama.